February 11, 2010: New concert date: Clasical Meets Jazz with Eyran Katsenelenbogen and Andrei Ivanovitch, Stephen Joseph Theatre, Scarborough, UK on July 15, 2010. 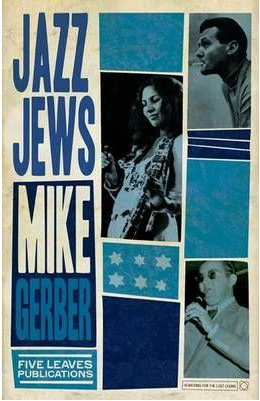 January 20, 2010: The new book Jazz Jews by Mike Gerber is published in London, and includes an entry about Eyran Katsenelenbogen. Britain from www.inpressbooks.co.uk, post free internationally from www.bookdepository.co.uk. January 12, 2010: Eyran Katsenelenbogen's 88 Fingers is announced as one of O's Place Jazz Magazine top 2009 Contemporary Jazz Golden Selections. 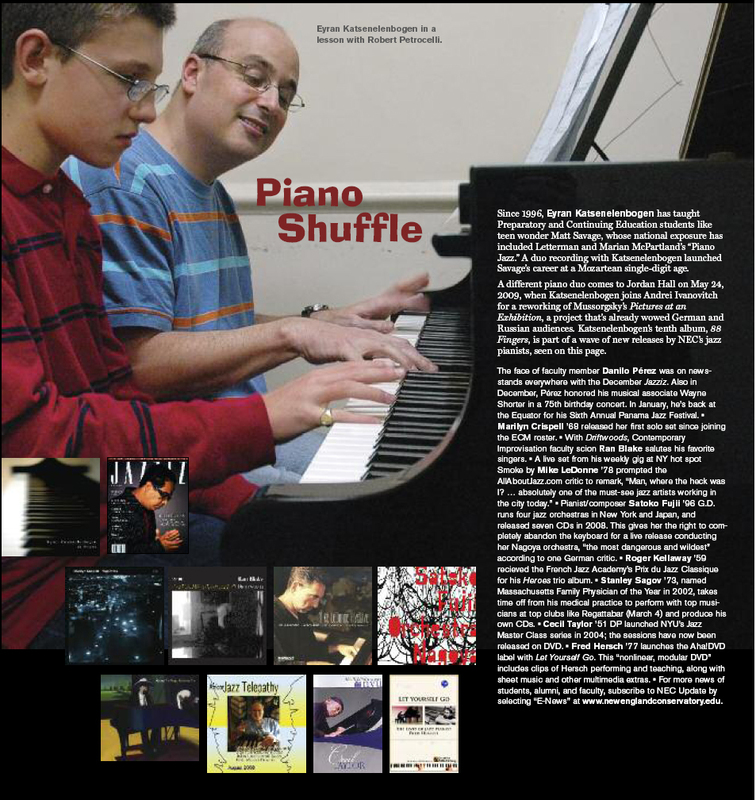 About O's Place Jazz Magazine: O's Place Jazz is a quarterly jazz newsletter and weekly web site featuring concise unbiased reviews of the latest jazz and blues. We do not include any advertising. We focus on an audiophile and professional community across the US with some subscribers also in Europe and South America. We have been around for over fourteen years with a circulation of about 5000. Our motto: "Sound Advice at a nice price." Our reviews include both performance and sound ratings. O's primary listening is done with a Sony XA777ES SACD player, Ayre C5-xeMP CD player, Jeff Rowland Consonance preamp, two Jeff Rowland Model 1 amplifiers (balanced mono mode), Classe CA-200 amplifier, Mirage M1 speakers and B&W 800D speakers wired with Cardas Hex 5C speaker wire, Transparent Audio interconnects and E.S.P. Essence Power Distribution System. 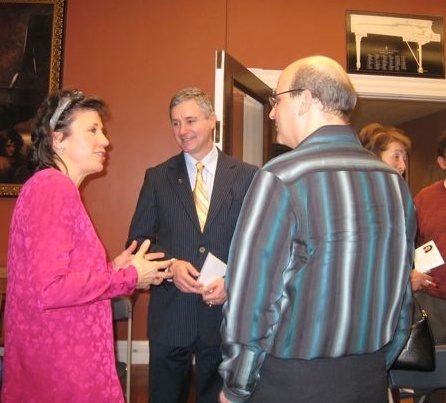 Steinway artist Janice Weber, Ron Losby, President, Steinway & Sons and Eyran Katsenelenbogen, following the performance of Weber and Katsenelenbogen at an event at M. Steinert & Sons in Boston on March 13, celebrating the life of Henry Z. Steinway (1915-2008). Ever wondered what would be the perfect wine to drink while listening to Eyran's music? 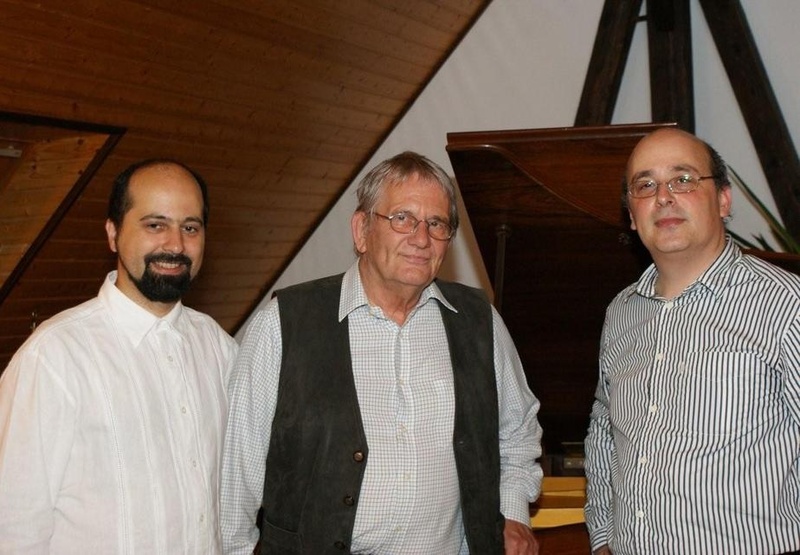 Andrei Ivanovitch, Gerhard Hummer and Eyran Katsenelenbogen, before Andrei and Eyran's special concert celebrating Gerhard's 70th birthday in Sossmar, Germany on July 12, 2009. 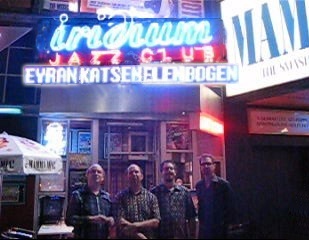 Eyran Katsenelenbogen, Gary Fieldman, David Zoffer and Rick McLaughlin after the CD release concert of Katsenelenbogens' 88 Fingers at the Iridium Jazz Club in New York on July 1, 2009.